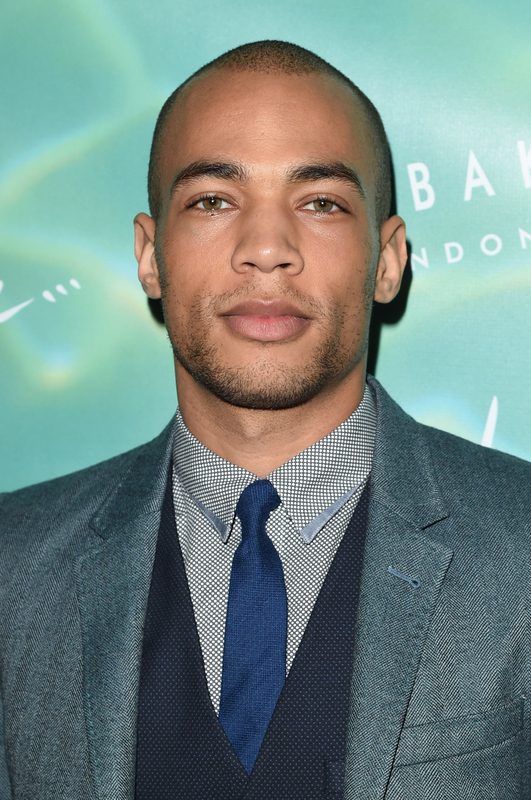 Who Will Kendrick Sampson Play On 'How To Get Away With Murder'? He Could Be Connected To "Eggs 911"
If you love murder and the idea of getting away with it, then chances are you're super psyched for the How To Get Away With Murder Season 2 premiere. (Just kidding, of course. You don't have to be a felon to be absolutely obsessed with this show!) Seriously, though, I could not be more excited for the return of Annalise and the Keating Five. But before we dive headfirst back into this world of secrets, lies, and, well, murder, it's worth discussing some of the new faces that will be gracing the ABC thriller this season, particularly The Vampire Diaries alum, Kendrick Sampson, who is set to appear as early as the premiere. So the big question of the day is: who will Sampson be playing on HTGAWM ? According to Deadline, who first reported the news, Sampson's role will be in a recurring capacity, though very little has actually been revealed about the character. No name, no character description. Nothing. Now, I'm completely used to a show playing it coy when it comes to revealing intimate details about new characters, but given just how elusive the series is being about this role makes me feel like he'll prove to be extremely important as the season progresses. In fact, I'm willing to wager that Sampson's HTGAWM character is actually the recipient of the mysterious "Eggs 911" message we learned about in the Season 1 finale. After being bound and gagged by the Keating Four — who still thought she was guilty for murdering Lila at the time — Rebecca managed to get her hands on Michaela’s phone and texted an unknown number the cryptic message: "Eggs 911. Lawyer’s house." Unfortunately, sending out this SOS still didn't prevent her from getting killed, but ever since she hit "sent," viewers have been desperate to discover just who was on the receiving end of this puzzling text. And I'm thinking Sampson's unknown character could be the perfect candidate. Granted, there are about a million other possible people he could end up being. Perhaps he's a former student of Annalise's who just wanted to stop by for a visit. Or maybe he's a new student of hers. Or a friend/family member of one of the Keating Five. With no information to really go on, predicting how he'll fit into the fold is nearly impossible. But considering the lengths the series is going to in order to keep details about this guy under wraps, my instincts are telling me this Eggs story arc somehow has to be involved. Either way, though, this series put that scene in the episode for a reason, which means they're not just going to let this detail fall by the wayside. So if my gut is right, then Sampson's character will be the key to unlocking those answers. And if I'm wrong, then we only have a few hours left until his identity will be unveiled.